“The Time Has Come: Why Men Must Join the Gender Equality Revolution"
Accessibility: Open to all. Accessible space. Founders College is wheelchair-accessible. Gender-neutral bathroom on 1st floor. Single-stall, accessible bathroom on 3rd floor. Light refreshments provided. 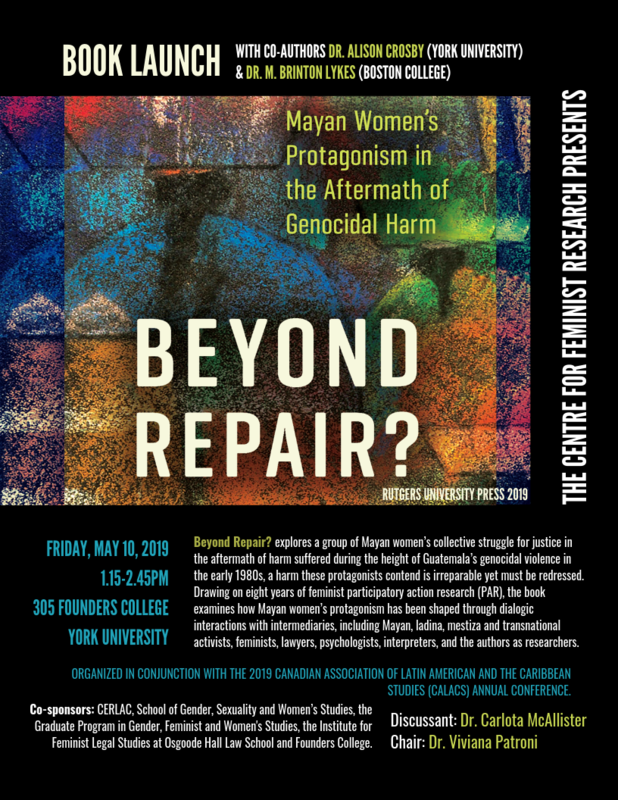 RSVP to juliapyr@yorku.ca. 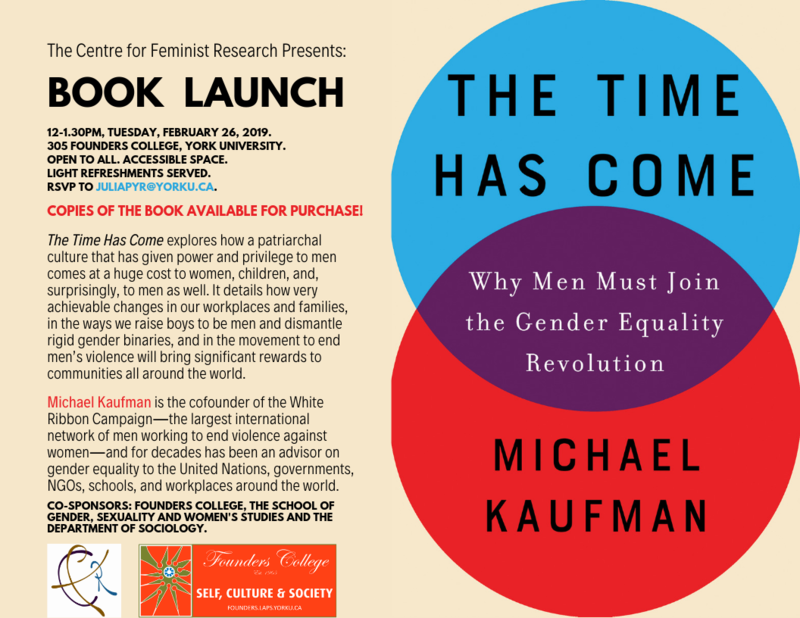 The Time Has Come explores how a patriarchal culture that has given power and privilege to men comes at a huge cost to women, children, and, surprisingly to men as well. It details how very achievable changes in our workplaces and families, in the ways we raise boys to be men and dismantle rigid gender binaries, and in the movement to end men’s violence will bring significant rewards to communities all around the world. Michael Kaufman is the cofounder of the White Ribbon Campaign―the largest international network of men working to end violence against women―and for decades has been an advisor on gender equality to the United Nations, governments, NGOs, schools, and workplaces around the world. With honest storytelling, compassion, and hard-hitting analysis, The Time Has Come is a compelling look at why men must take a stand in the fight for general equality. Co-Sponsored by: Founders College, The School of Gender, Sexuality and Women’s Studies and the Department of Sociology.